At Unity of Mesa we Enlighten, Empower, and Energize women to uplift their world through a greater expression of God. We offer various experiences designed especially for women to encourage them to integrate and effectively apply Truth principles to live Spirit-Centered lives, including playshops and retreats that provide wonderful opportunities for deeper spiritual experiences with other women. Women of Unity in Arizona are invited to our first sub-region women's retreat. 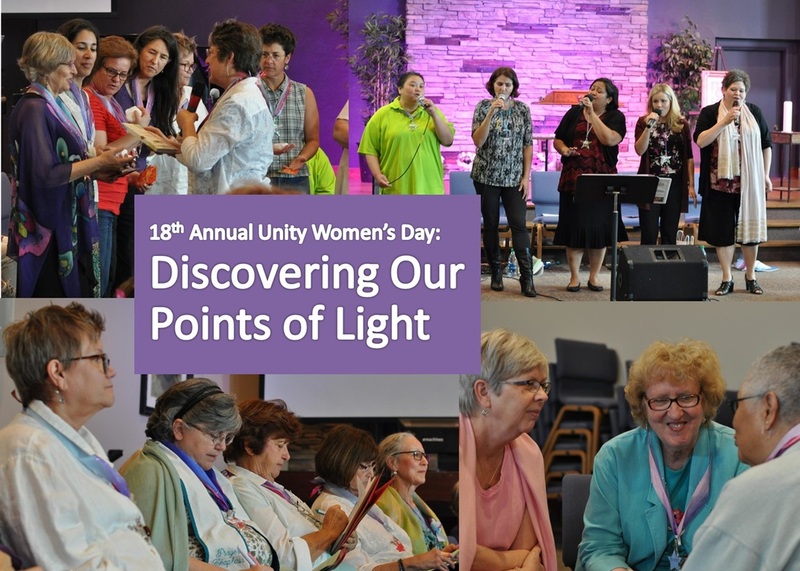 Meet and connect with women from Unity ministries in Arizona. This event, hosted by Unity of Mesa and facilitated by Rev. Charli Tupper, Rev. Michelle Abraham and music by Katie Seiferth, will open our hearts, create lasting friendships, while deepening our knowing of: The Wisdom of the Divine, The Wisdom of Self, and The Wisdom within Others. filling out a registration form and mailing to Unity of Mesa. Registration forms can be found here. Click on the icons below to download Unity of Mesa Women's Ministry Forms.